With the nice spring weather, it’s time for people to come out of their homes and enjoy the great outdoors. 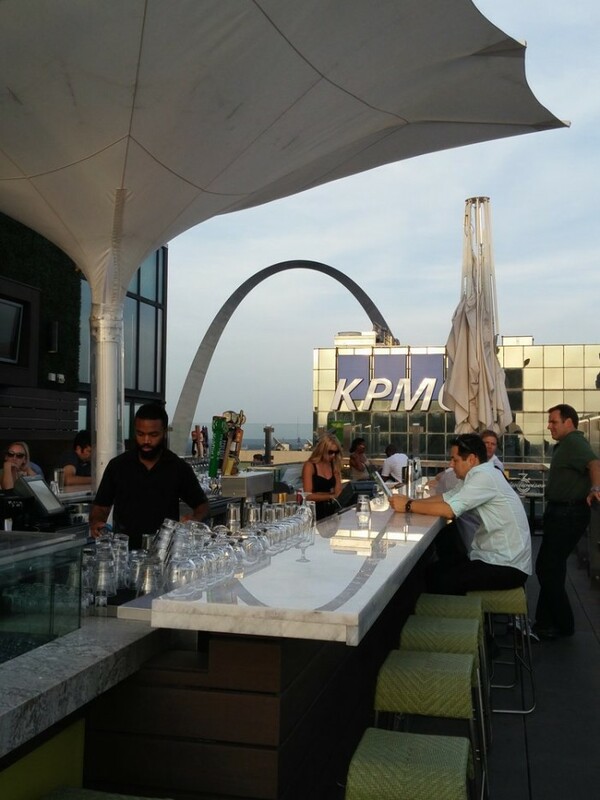 What better way to enjoy a beautiful day then to have a meal (and maybe a cocktail) at a rooftop restaurant? 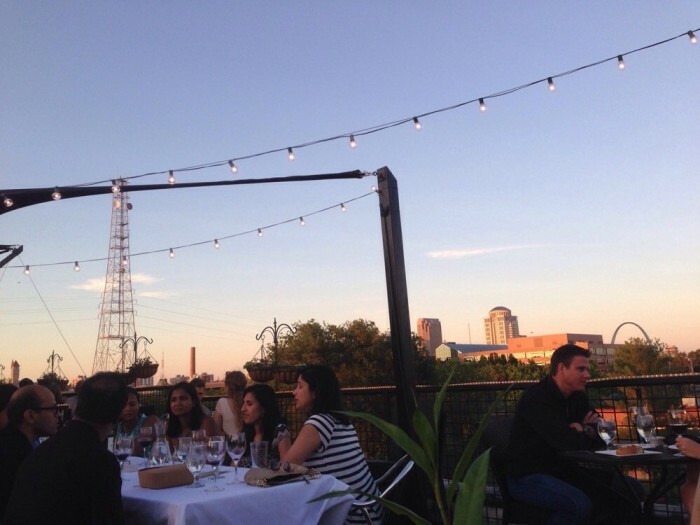 All of these spots provide spectacular views, a great atmosphere, and delicious food… on the roof. 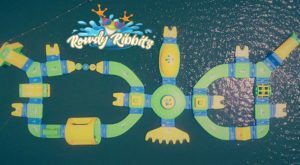 Enjoy the spring weather at this unique, multi-level restaurant. They have a lower level patio, as well as a rooftop deck. 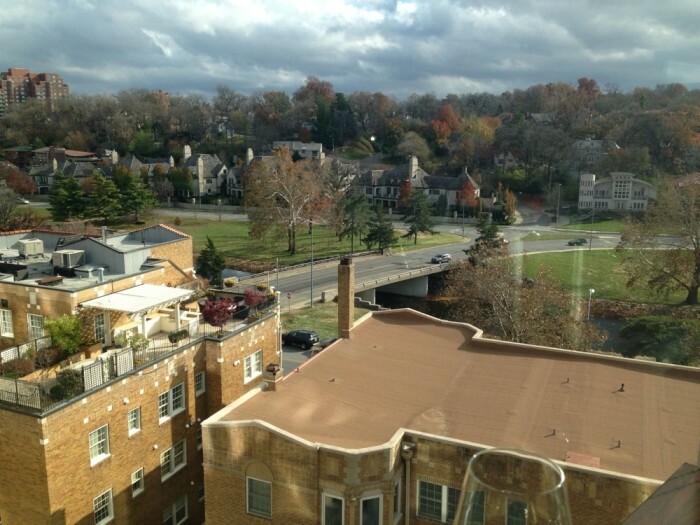 They are located in Kansas City’s historic Waldo at 7421 Broadway. 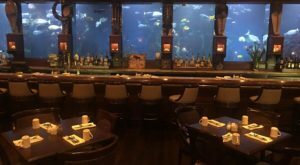 A slightly upscale, yet casual neighborhood bar atmosphere provides something for everyone. Visit waldowell.com for more information. 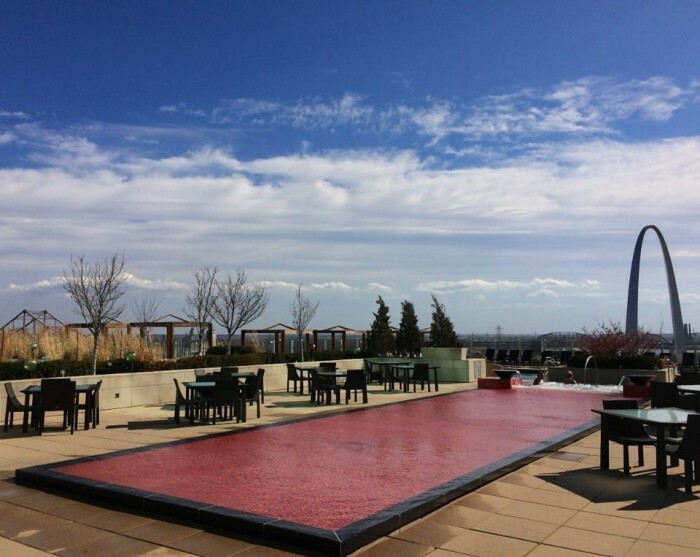 Inspired by a hill town in Italy, Bar Rosso’s rooftop bar and restaurant overlooks the south Country Club Plaza area on one side and the hotel’s rooftop pool on the other. 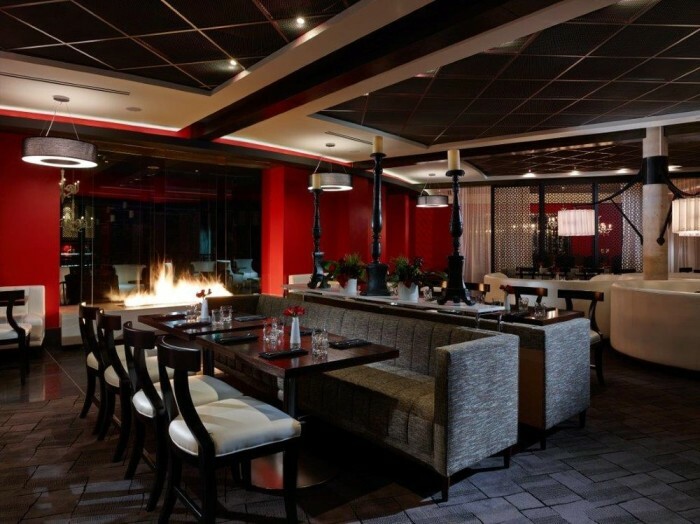 With a full bar and a menu featuring Mediterranean inspired cuisine, Bar Rosso is a great place to gather with friends and family. They are located at 901 West 48th Place. For more information, click here. 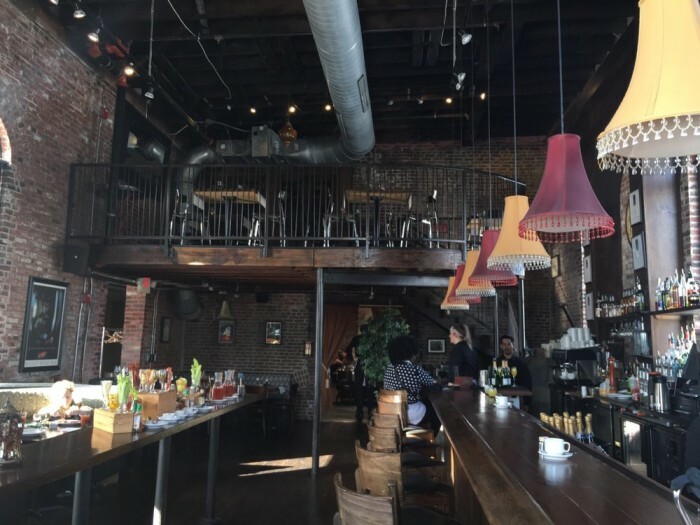 This classy yet casual upscale rooftop bar and bistro serving classic French cuisine is located in the restored Centennial Malt House in St. Louis. 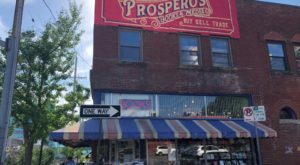 The name comes from the phonetic spelling of the French number “vingt dix-sept” or 2017, which simply represents the bistro’s address at 2017 Chouteau Avenue. 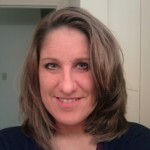 Visit their website at vindeset.com for more information. 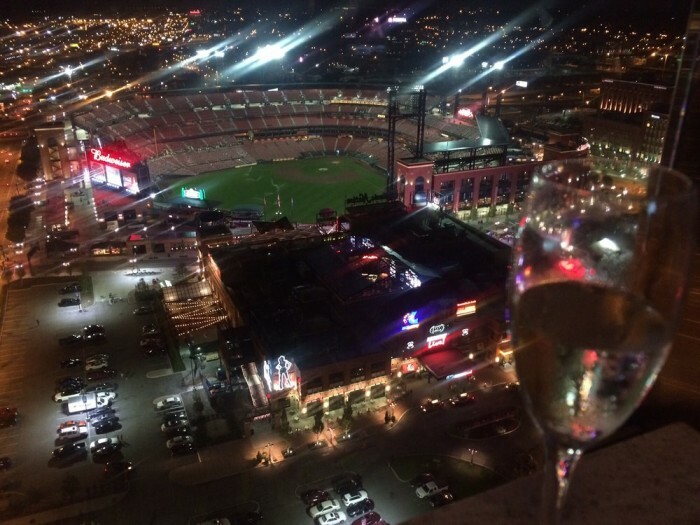 For an amazing 360-degree view of downtown St. Louis, check out Three Sixty. 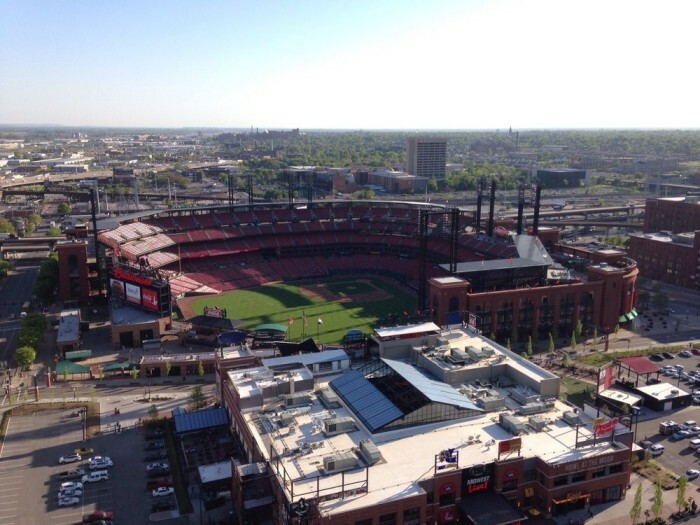 On Cardinal game days, you can see the game right from your seat. 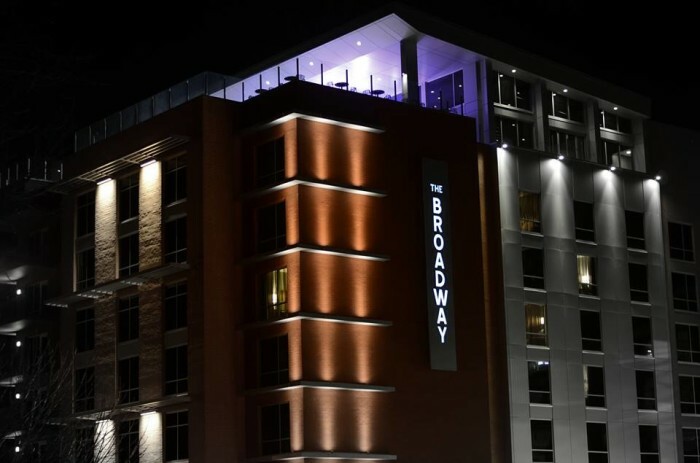 Located on top of the Hilton at 1 South Broadway, they serve unique and eclectic cuisine. 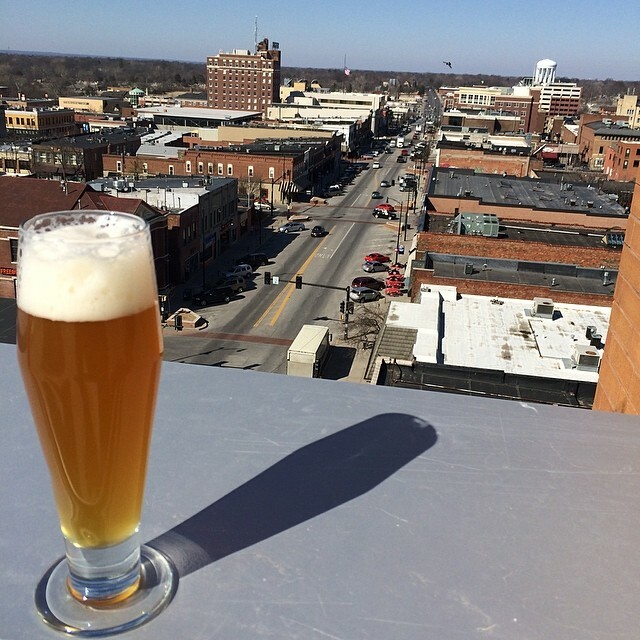 Take advantage of the outside seating and bar, soak up the sun and enjoy the view. 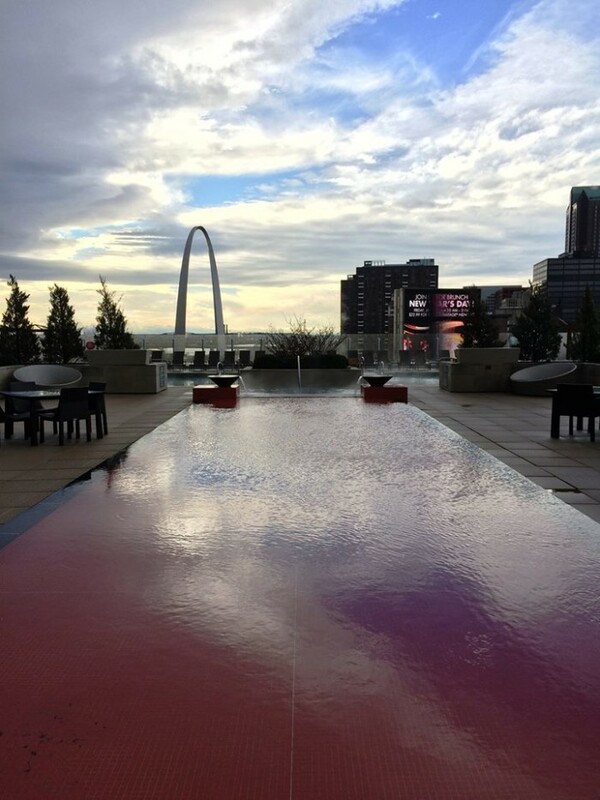 Visit 360-stl.com for more information. 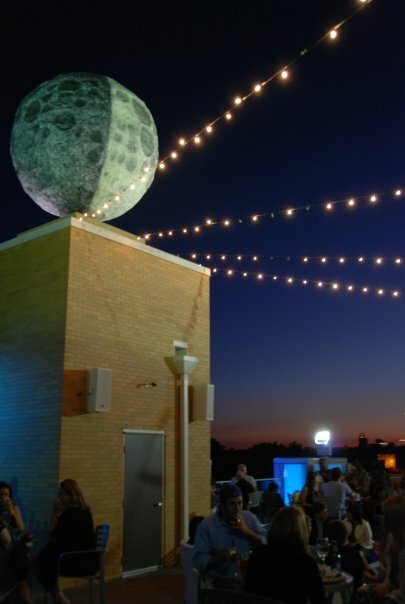 Enjoy cocktails and appetizers at the unique Moonrise Hotel’s Rooftop Terrace Bar. 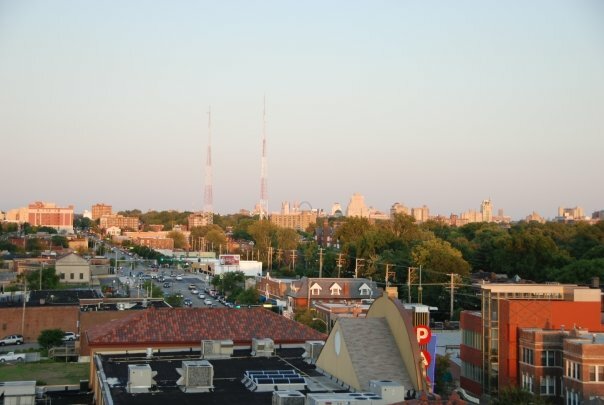 Enjoy a dramatic view of the popular Delmar Loop district and St. Louis skyline. 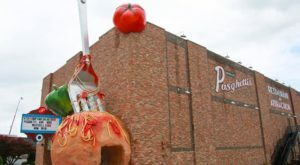 They are open seasonally from April through October at 6177 Delmar and feature the world’s largest man-made moon. Find out more at moonrisehotel.com. Cielo (“chee-eh-lo”) is the Italian word for “sky,” and the Sky Terrace at Cielo Restaurant does not disappoint. The restaurant is a classic Italian Restaurant located in downtown St. Louis at 999 N. 2nd Street. 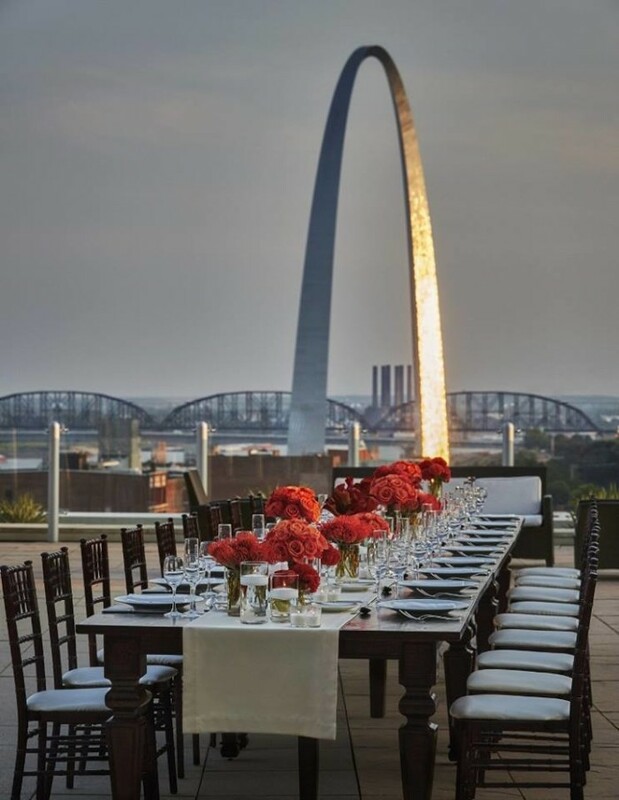 You can enjoy stunning skyline views from every table including the Gateway Arch and the Mississippi River. Find out more at cielostlouis.com. 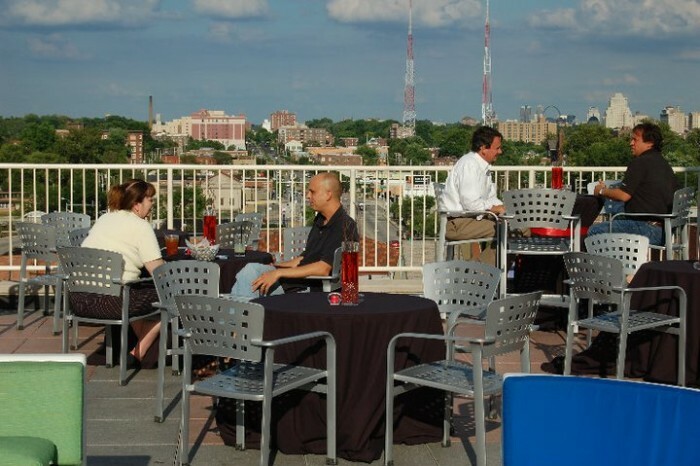 The Roof is a great gathering place in Columbia. 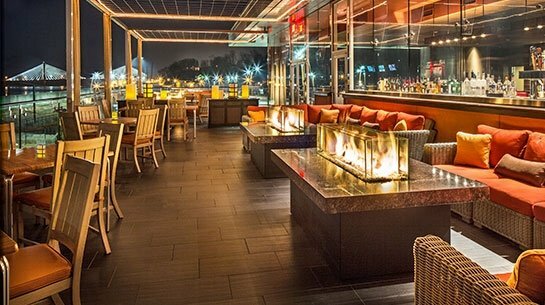 Besides spectacular views, they also have indoor and outdoor seating, including two outdoor fire pit table areas and a huge outdoor bar. 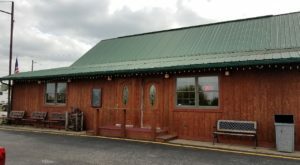 They serve small plates and appetizers, hand crafted cocktails, and a selection of local beers on tap. 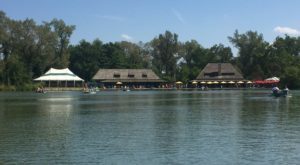 The fire pit areas and the entire roof are available to reserve at any time, with varied pricing depending on day and time. Click here for more information. 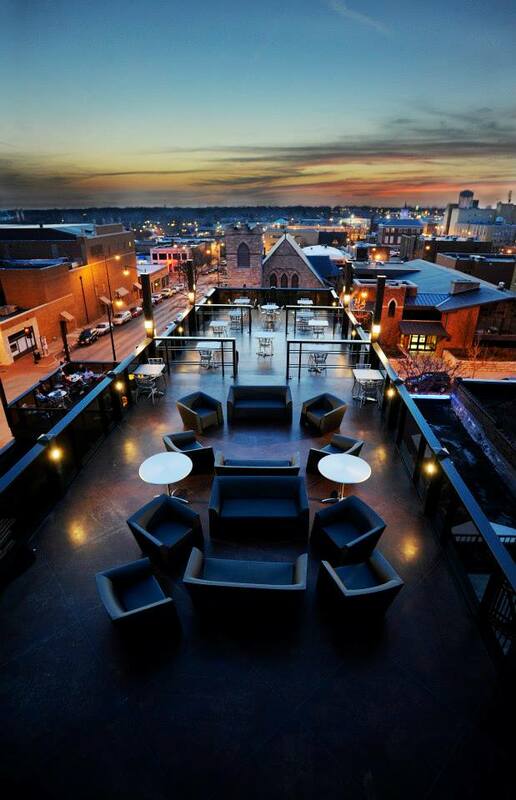 Quinton’s Rooftop Patio is the top of the three-level restaurant and bar, Quinton’s & Tonic. 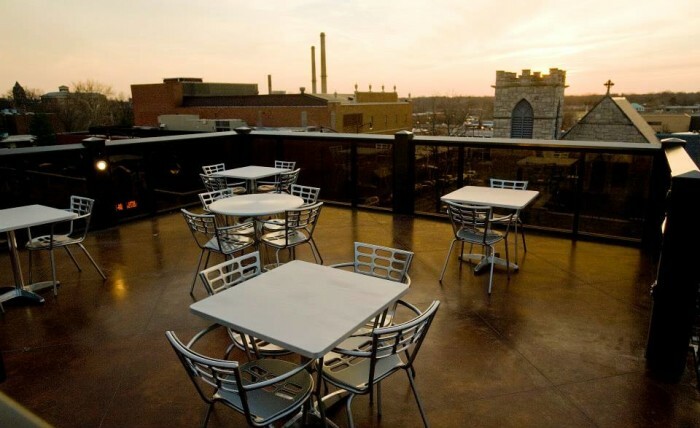 Located at 124 South 9th Street, the Rooftop offers amazing, open-air views of Columbia. The middle floor is a deli serving a large variety of sandwiches and appetizers. For more information, visit quintonsandtonic.com. 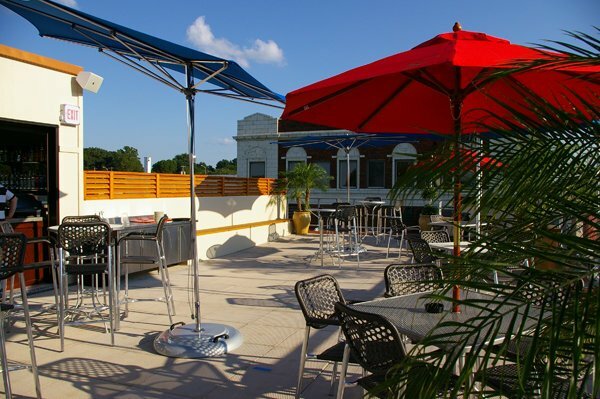 After some time winning money at the Isle of Capri Casino’s, head up to Keller’s, a classic American bar and grill located on the roof. 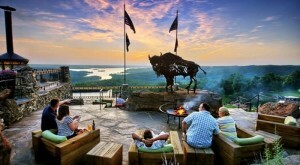 Enjoy your meal while overlooking the Mississippi River and Emerson Bridge. 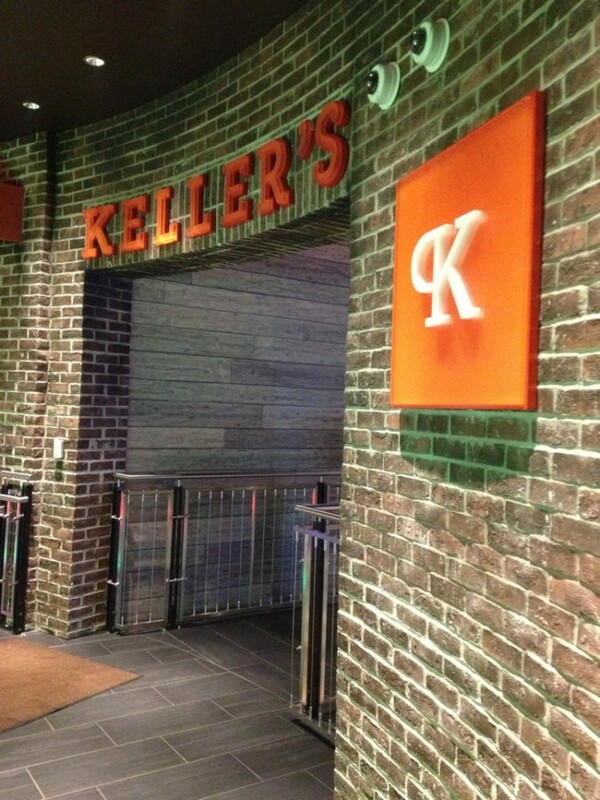 Upscale, yet casual and comfortable, Keller’s is a great place to take a break from the casino below. Visit Keller’s for more information. 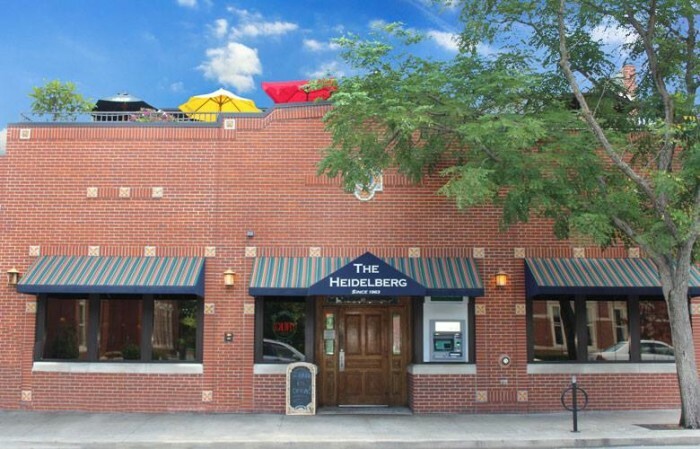 Known locally as ‘The Berg’, this restaurant and bar has been a popular hangout for college students since 1963. 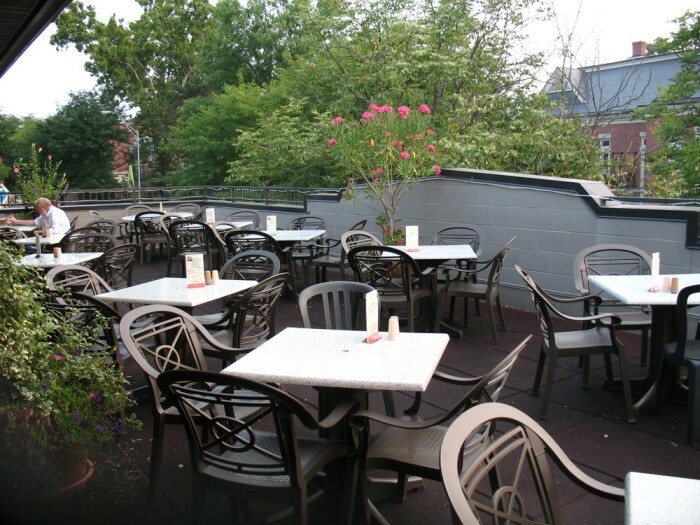 They feature a year-round rooftop patio which is a great place to enjoy their Sunday brunch on a nice spring day. Visit theheidelberg.com for more information. 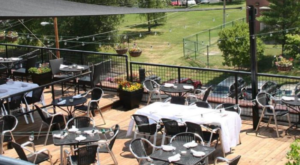 What are some other restaurants with rooftop dining in Missouri?